In the midst of all the choas, I have managed to finish my second book this year. 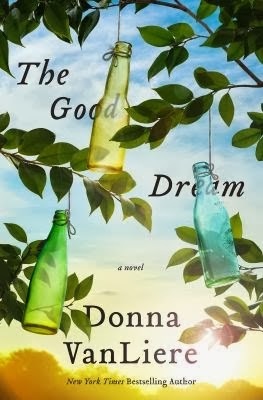 This months book was "The Good Dream" by Donna Van Liere. This book was a Christmas gift and I never heard of it when I received it. However, I am always open to new suggestions for books that "sound like me." "The Good Dream" was an easy reading book that took place in Tennesse- near Knoxville in a city called Morgan Hill. Morgan Hill is a very small town- much like the town I grew up in. I think this is why it was so intriguing to me when I started reading it. The main character, Ivorie, is a young teacher who has never been married. People in the community criticize her, saying she will grow up to be an old maid. One day Ivorie discovers that something is getting into her garden and messing with/eating some of her vegetables. After she sets a trap to find this critter in her garden, she discovers that it is a young boy who has been abused and neglected his entire life. This boy lives up in the "hills" of Morgan Hill and comes down at night to get food. Ivorie takes the young boy in and the book tells the tale of her rescuing this young boy and the journey that takes her on; all the while being criticized by members of the community for her heroism. A wild twist about the child's father at the end keeps you guessing the entire time. This was a fun and good read! AND.. You can buy it on Amazon for $10 by clicking here.